Yes, I Did It! 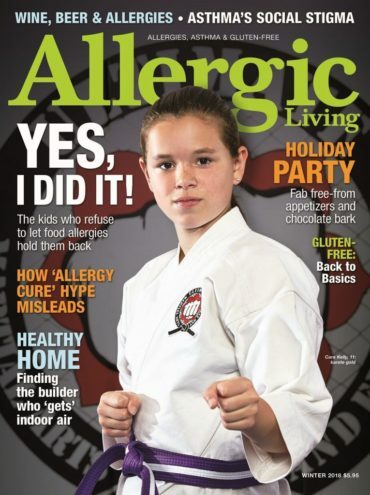 – Living with food allergies doesn’t have to be limiting. These kids and teens are here to prove it. 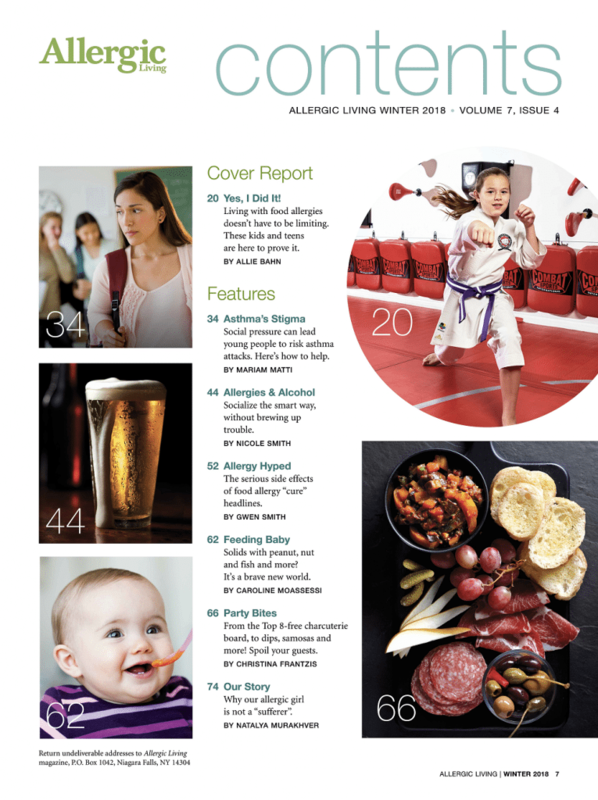 Asthma’s social stigma; Food allergies and alcohol, learning to socialize without brewing up trouble; Allergy hype, the serious effects of food allergy “cure” headlines; Feeding baby solid food allergens and more. Hope remains for Viaskin Peanut patch; dust mite tablet coming to the pharmacy, flyers’ food screed and more. Advice on introducing milk in baked goods, almond shampoo concerns and all about airborne reactions. Plus, how common is garlic allergy? Party Bites: Top-8 free charcuterie board with dips, samosas and more! 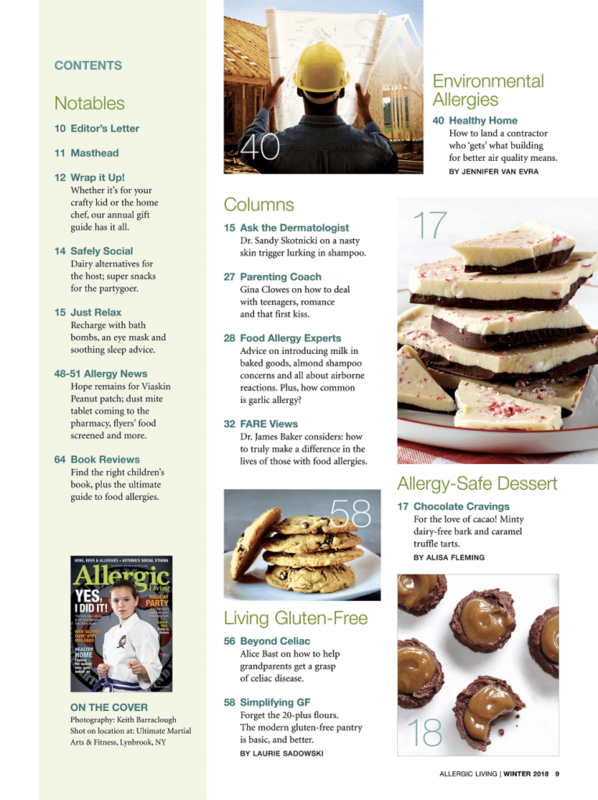 Plus, dairy-free minty chocolate bark and divine caramel truffle tarts. Allergic Living can now be found at Barnes & Noble throughout the United States.